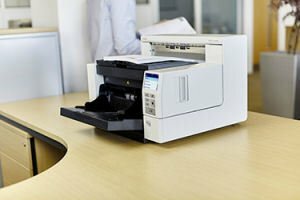 Busy mailrooms, production departments and service bureaus have relied on KODAK i4000 Series Scanners for years to deliver a valuable combination of quality, productivity, and affordability. They're a great choice for plowing through hours of uninterrupted scanning. Now we've upgraded the performance of the original line and added a new, faster model. 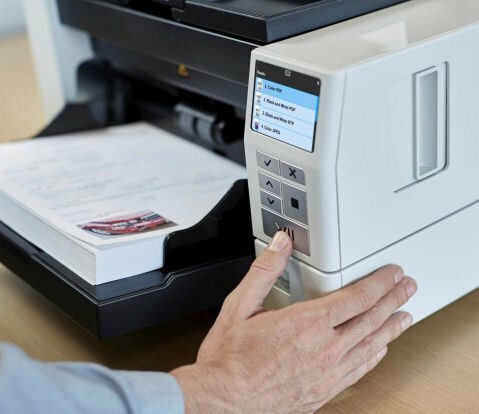 See why KODAK i4000 Series Scanners continue to be at the top of their class. Kodak’s Smart Touch Feature delivers out-of-the-box productivity that easily automates multiple tasks with powerful “one touch” scanning. Kodak’s Smart Touch Feature delivers out-of-the-box productivity that easily automates multiple tasks with powerful “one touch” scanning. Speed through huge jobs with time-saving features and the muscle to handle up to 125,000 scans a day. Larger interactive control panel lets operators do more without leaving the scanner for the host PC. Manage multi-feeds, avoid document damage and reduce the need for rescans with Intelligent Document Protection and auto image rotation. Control the most complicated workflows on the fly with advanced barcode reading. Get crisp, clear images even with challenging originals, thanks to the latest Perfect Page image processing technology. Perfect Page image processing provides exceptional scans and images time after time, even from less-than-perfect documents, reducing the need for rescans and post-image processing. Streak Filtering corrects for real-world conditions you can’t control, such as dust. When volume increases, enhanced functionality and speed are easily added — it’s the only scanner series in its class that allows field upgrades. Rugged design and steel-welded frame ensure high performance and reliability. KODAK Service and Support helps you keep things running smoothly. Reliably detects double feeds so you won’t lose an image. Maintains full rated speed with valuable features like Auto Orientation, Auto Crop, and Skew Detection enabled. 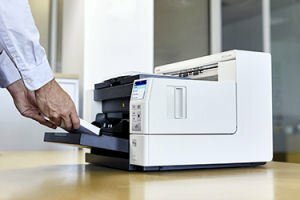 Similar features can slow non-Kodak scanners by as much as 59 percent. SurePath Paper Handling delivers advanced feeding and stacking functions for increased performance and reduced prep time. 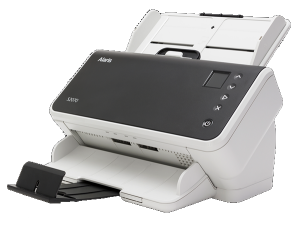 Hardware - One scanner to handle almost any size, thickness or quality. 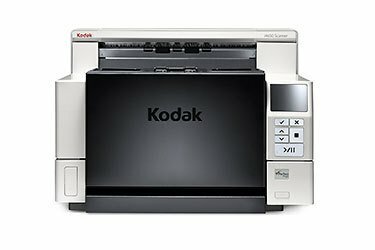 Software - Smart Touch and KODAK Capture Desktop are in the box— no third-party software to buy. Service and Support - World-class service for both Kodak and non-Kodak products. Response time in four hours or less when necessary. White LEDs -instant warm-up; designed to last the life of the scanner with normal use. Output File Formats and Destinations. 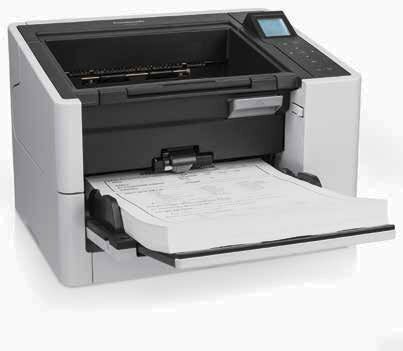 Intelligent Document Protection with 3 sensors, interactive Operator Control Panel (OCP), barcode reader, interactive multifeed ignore with image display on host, Intelligent Imprinting (patch counting), streak filtering, controlled stacking, Perfect Page technology, iThresholding, automatic color detection, autocrop, image edge fill (black or white), aggressive crop, deskew, content-based blank page detection and deletion, multi-color dropout, hole fill, dual-stream scanning, automatic orientation, color-on-the-fly toggle patch, and much more. user installable pre- and/or post-scan imprinter, time and date stamping, Roller Kit, Cleaning Kit, Power Conditioner. 90 days on site included. up to 5 year warranty options available. The Kodak i4x50 Series scanners require an additional kit to allow for the use of the prescan imprinter. Extends 90 day on site warranty to 12 months onsite warranty. 5x9x24 M-F, NBD. Starts from date of scanner purchase. Extends 90 day on site warranty to 24 months onsite warranty. 5x9x24 M-F, NBD. Starts from date of scanner purchase. Extends 90 day on site warranty to 36 months onsite warranty. 5x9x24 M-F, NBD. 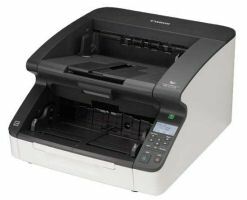 Starts from date of scanner purchase. For Post Warranty Service Coverage, 1, 2 and 3 year warranty contracts are available. Please call ScanTastik for a Quote. Scanner Serial Number is required. Kodak Imaging Guide Set for the Kodak i4x00/i5x00 Scanners. Kodak Printer Ink Blotters / for all Kodak Production Series Scanners Includes: 60 per package Usage: replace when there is a built-up of ink. Usage: approximately one pad per day or more frequently if required. Usage: approximately 1,200,000 to 1,700,000* characters per ink cartridge. For holding Enhanced printer cartridges.